A Curriculum that focuses on the development of English pronunciation skills through the study of texts about First Century Christianity from the book of Acts. 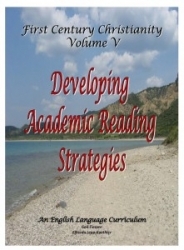 ail Tiessen is an accomplished teacher and author in the EAL field. She has developed and administered TESOl and EAL programs and written EAL curricula for 30 years.